Loyd Blankenship, known as “The Mentor” in hacking circles, has been an active hacker since the 1970s. He was a member of several hacking groups in the past, most notably Legion of Doom (LOD). Blankenship was hired by Steve Jackson Games in 1989 to work on GURPS Cyberpunk. The US Secret Service raided his home in 1990 and confiscated the game’s rulebook, calling it a “handbook for computer crime.” He has since given up on hacking and is now the head of product research and design at McAfee. Assange began hacking at the age of 16 under the name “Mendax.” Over four years, he hacked into various government, corporate, and educational networks including the Pentagon, NASA, Lockheed Martin, Citibank, and Stanford University. The United States launched an investigation against Assange in 2010 to charge him under the Espionage Act of 1917. Assange is currently a citizen of Ecuador and holed up in the Ecuadorian embassy in London, fearing extradition to the United States. Fancy Bear is a group that is strongly associated with the Russian government and seems to support its cyber warfare activities. While they don’t encompass everything Russia does online, they’re the most dangerous and have been responsible for some of the most high-profile hacks of the decade. They got their start in 2008, hacking the Georgian government to throw it into chaos just before the Russian army invaded the country. And since then, they’ve been involved in countless controversies and conflicts in that region, doing everything from threatening anti-Kremlin journalists and protesters, hacking the German parliament for over six months in 2014, making death threats to the wives of US Army personnel, disabled 20% of Ukraine's artillery via a corrupted app, and famously leaked emails from the Democratic National Convention… which would hardly be the first or last time the group had been tied to elections, as their efforts to manipulate democracy has been discovered in German, French, and Ukrainian elections. Fancy Bear almost never takes credit for their own work. Marcus Hutchins is a very important figure in the cybersecurity world today — arguably the most important — as the future for this villain-turned-hero might dramatically change the way hackers view the world, and their ability to change hats, in the years to follow. Marcus Hutchins was a relatively reclusive cybersecurity expert working for a small-time security firm Kryptos Logic from out of his parent’s house. In one brilliant discovery, he stopped the highest-profile attack of 2017 and became a hero of the cybersecurity world, and was treated like a king at that year’s DEF CON, the world’s largest hacker conference. Lizard Squad is similar to Xbox Underground as they were also concerned with gaming networks such as the PlayStation Network and Xbox Live services. The community is mainly known for their distributed denial-of-service (DDoS) attacks on gaming-related services. On September 3, 2014, the Lizard Squad announced their disbandment but later came up with several varieties of attacks. On January 26, 2015, the website of Malaysia Airlines was attacked by redirecting users to a page bearing an image of a tuxedo-wearing lizard, and reading “Hacked by Cyber Caliphate”. Media report claims around the world said versions of the takeover in some regions included the wording “ISIS will prevail”, which listed concerns of Lizard Squad’s association with the Islamic State. Albert Gonzalez paved his way to Internet fame when he collected over 170 million credit card and ATM card numbers over a period of 2 years. 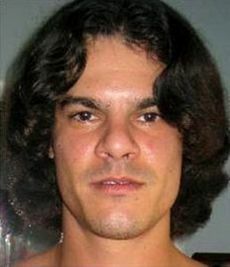 Gonzalez started off as the leader of a hacker group known as ShadowCrew. 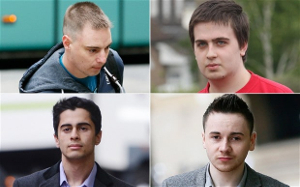 This group would go on to steal 1.5 million credit card numbers and sell them online for profit. ShadowCrew also fabricated fraudulent passports, health insurance cards, and birth certificates for identity theft crimes totaling $4.3 million stolen.The big bucks wouldn't come until later, when Gonzalez hacked into the databases of TJX Companies and Heartland Payment Systems for their stored credit card numbers. In 2010, Gonzalez was sentenced to prison for 20 years. A 58-year-old Greek Mathematician hacked into the systems of France's Dassault Group, stole vulnerable weapons technology data and sold it to different countries for five long years. While the real identity of the ASTRA remains untraced, officials have said that he had been wanted since 2002. Astra sold the data to approximately 250 people from around the globe, which cost Dassault $360 millions of damage. Not all hackers are "evil". 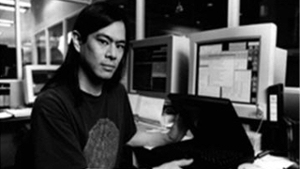 Tsutomu Shimomura made sure that Kevin Mitnick was convicted. 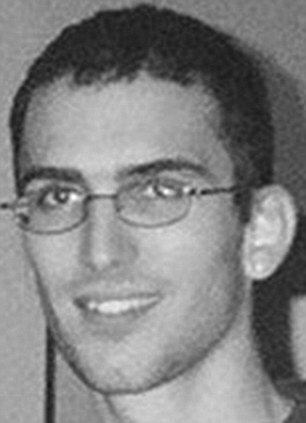 He helped and collaborated with FBI to get the famous hacker Mitnick arrested.In 1994 Mitnick stole some personal files of Shimomura and published them online. Shimomura managed to trace it back to Mitnick. Some authors consider his involvement in Mitnick case/arrest as dubious. LulzSec or Lulz Security, a high profile, Black Hat hacker group, gained credentials for hacking into Sony, News International, CIA, FBI, Scotland Yard, and several noteworthy accounts. So notorious was the group that when it hacked into News Corporations account, they put across a false report of Rupert Murdoch having passed away. While the group claims to have retired from their vile duties, the motto of the group, "Laughing at your security since 2011! " stays alive. There are assertions of the group having hacked into the websites of the newspapers like The Times and The Sun to post its retirement news.Many, however, claim that this group had taken it upon itself to create awareness about the absence of efficient security against hackers. 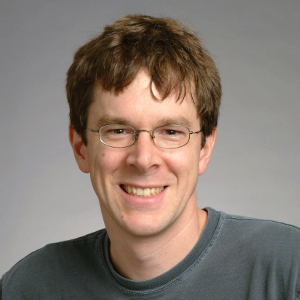 A graduate student at Cornell Un iversity, Robert Morris developed the first computer worm. According to his own statements, he wanted to capture the size of the Internet. After he set the software on November 2, 1988 free, he infected 6,000 computers -which were then about 10 percent of Internet-connected computers. Due to a programming error, the worm multiplied excessively and made sure that many computers were overloaded. 1989, Morris was the first to be convicted under the Computer Fraud and Abuse Act of 1986. The concept of being a "digital Robin Hood" was far from being conceived, but in the computer age, it is very likely that someone somewhere has bagged this title. A "hacktivist group" called Anonymous are known with the penname of being the "digital Robin Hood" amongst its supporters. 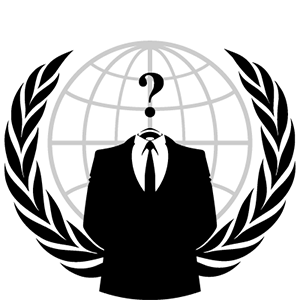 Identified in public by wearing a Guy Fawkes Masks, Anons, as they are widely known, have publicized themselves by attacking the government, religious and corporate websites. The Vatican, the FBI, the CIA, PayPal, Sony, Mastercard, Visa, Chinese, Israeli, Tunisian, and Ugandan governments have been amongst their targets. Although, Anons have been arguing whether to engage in a serious activism or a mere entertainment, many of the group members have clarified their intent which is to attack internet censorship and control. 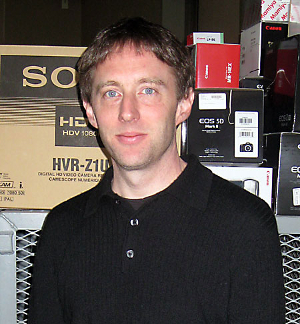 Kevin Poulsen, also known as "Dark Dante" gained his fifteen minutes of fame by utilizing his intricate knowledge of telephone systems. At one point, he hacked a radio station's phone lines and fixed himself as the winning caller, earning him a brand new Porsche. According to media, he was called the "Hannibal Lecter of computer crime". He then earned his way onto the FBI's wanted list when he hacked into federal systems and stole wiretap information. Funny enough, he was later captured in a supermarket and sentenced to 51 months in prison, as well paying $56,000 in restitution. Later Poulsen changed his ways after being released from prison. He began working as a journalist and is now a senior editor for Wired News. Jonathan James was known as "comrade" on the Internet. He was convicted and sent to prison for hacking in the United States, all while he was still a minor. At only fifteen years of age, he managed to hack into a number of networks, including those belonging to Bell South, Miami-Dade, the U.S. Department of Defense, and NASA. James hacked into NASA's network and downloaded enough source code to learn how the International Space Station worked. The total value of the downloaded assets equaled $1.7 million. To add insult to injury, NASA had to shut down their network for three whole weeks while they investigated the breach, which cost them $41,000. The story of James has a tragic ending, however. In 2007, a number of high profile companies fell victim to a massive wave of malicious network attacks. Even though James denied any involvement, he was suspected and investigated. In 2008, James committed suicide, believing he would be convicted of crimes that he did not commit. 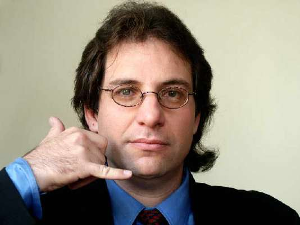 Kevin Mitnick is probably the most famous hacker in the world. He managed to be the first to get on the FBI's list of most wanted people in the world. He broke into the systems of Nokia and Motorola. He hacked the punch card ticketing system of Los Angeles bus system through which he could travel in any bus throughout the state. Through a phone number given by his friend he hacked DEC (Digital Equipment Corporation) main software.In 1979, at the age of 16, he hacked a computer for the first time and copied proprietary software. After two and a half years, he was arrested and spent five years in prison. He now runs his own security company. 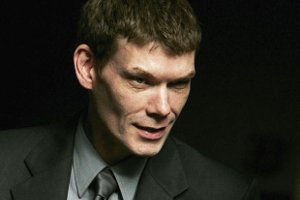 Gary McKinnon was known by his Internet handle, "Solo". Using that name, he coordinated what would become the largest military computer hack of all time. The allegations are that he, over a 13-month period from February 2001 to March 2002, illegally gained access to 97 computers belonging to the U.S. Armed Forces and NASA. McKinnon claimed that he was only searching for information related to free energy suppression and UFO activity cover-ups. But according to U.S. authorities, he deleted a number of critical files, rendering over 300 computers inoperable and resulting in over $700,000 in damages. Being of Scottish descent and operating out of the United Kingdom, McKinnon was able to dodge the American government for a time. As of today, he continues to fight against extradition to the United States.